贾光辉, 姚光乐, 张帅. 填充式防护结构弹道极限方程的差异演化优化[J]. 北京航空航天大学学报, 2018, 44(7): 1489-1495. JIA G H, YAO G L, ZHANG S. Differential evolution optimization for stuffed Whipple shield ballistic limit equations[J]. Journal of Beijing University of Aeronautics and Astronsutics, 2018, 44(7): 1489-1495. Abstract: There are 11 parameters in the form of domestic integrated modeling of ballistic limit equations. 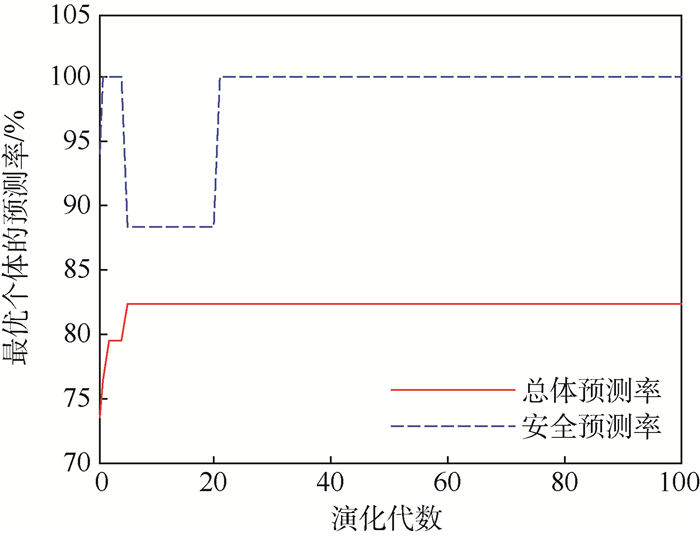 Theoretically, the exhaustion method can be used to obtain the numerical value, but the computation time is too long and the storage space is huge, so it is not suitable to realize. To solve this problem, differential evolution algorithm is used. Based on the domestic data of stuffed Whipple shield, the differential evolution algorithm is applied to optimize 11 undetermined parameters of the formal ballistic limit equation of the integrated modeling. 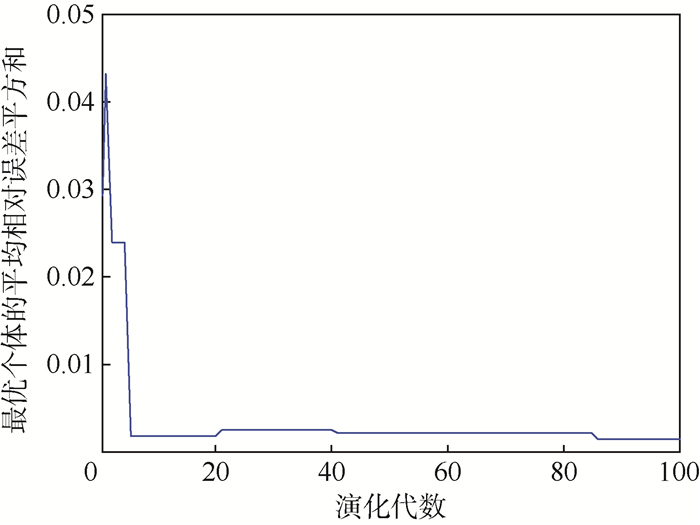 The optimization results show that the totality predicted rate is 82.35%, the safety predicted rate is 100%, and the average sum of squared prediction relative errors is 0.001 3. Based on 49 experimental data from other sources for predictive testing, the prediction test shows that the totality predicted rate is raised by 1.32%, the safety predicted rate is reduced by 4.08%, and the average sum of squared prediction relative errors is increased by 0.007 3. It shows that the differential evolution algorithm is suitable for solving the ba-llistic limit equation modeling of multiple parameters and multiple targets. 闫军, 郑世贵. 填充式防护结构填充层撞击特性研究[J]. 载人航天, 2013, 19	(1): 10–14. CHRISTIANSEN E, LAMBERT M, STOKES H. IADC protection manual[M]. Bremen: Inter Agency Debris Committee, 2002. 贾光辉, 欧阳智江, 蒋辉, 等. 填充式防护结构弹道极限方程的多指标寻优[J]. 北京航空航天大学学报, 2013, 39	(12): 1573–1583. 贾光辉, 欧阳智江, 蒋辉. 撞击极限方程预测指标剖析与实例[J]. 航空学报, 2013, 34	(10): 2364–2371. CHRISTIANSEN E L, KERR J H. Ballistic limit equations for spacecraft shielding[J]. International Journal of Impact Engineering, 2001, 26	(1): 93–104. STORN R, PRICE K. Differential evolution-A simple and efficient adaptive scheme for global optimization over continuous spaces: TR-95-012[R]. Berkeley: University of California, 1995. 陈良, 戴光明, 张全元, 等. 差异演化及其改进形式的综述[J]. 计算机工程与设计, 2008, 29	(1): 131–134. 姚光乐, 贾光辉. 填充式防护结构弹道极限方程形式建模[J]. 空间碎片研究, 2017, 17	(1): 29–33. 袁俊刚, 孙治国, 曲广吉. 差异演化算法的数值模拟研究[J]. 系统仿真学报, 2007, 19	(20): 4646–4648. 汪勇, 徐琼, 张凌, 等. 基于遗传分层序列法的云制造资源优化配置[J]. 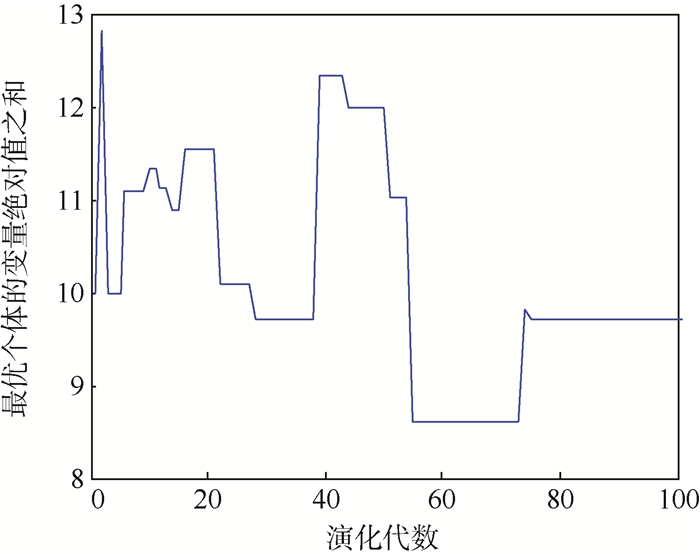 统计与决策, 2016, 20	: 80–83. 张宝玺. 超高速撞击玄武岩及Kevlar纤维布填充防护结构优化设计[D]. 哈尔滨: 哈尔滨工业大学, 2011. 哈跃. 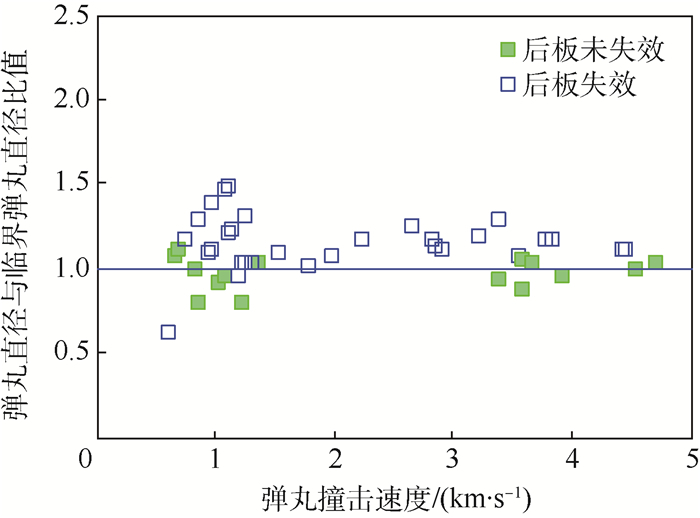 玄武岩纤维材料及其填充防护结构超高速撞击特性研究[D]. 哈尔滨: 哈尔滨工业大学, 2009. 祖士明. 玄武岩及Kevlar纤维填充式防护结构超高速撞击性能研究[D]. 哈尔滨: 哈尔滨工业大学, 2013. 贾古寨, 哈跃, 庞宝君, 等. 玄武岩/Kevlar纤维布填充防护结构撞击极限及损伤特性[J]. 爆炸与冲击, 2016, 36	(4): 433–440.